be adjusted in size so that it fits into the box. Though I think 2 is asking to much. The first attempt does not really scale the content, as I had hoped. Also I had expected that the boxes are just next to each other, not overlap. The second does not allow the boxes to be next to each other. Problem 2 is treated elsewhere on the site, I'll deal only with problem 1, which can be solved with \vsplit. I load microtype just for convenience, in order to minimize overfull boxes. Also \fbox is used just for showing the boundaries of the boxes. 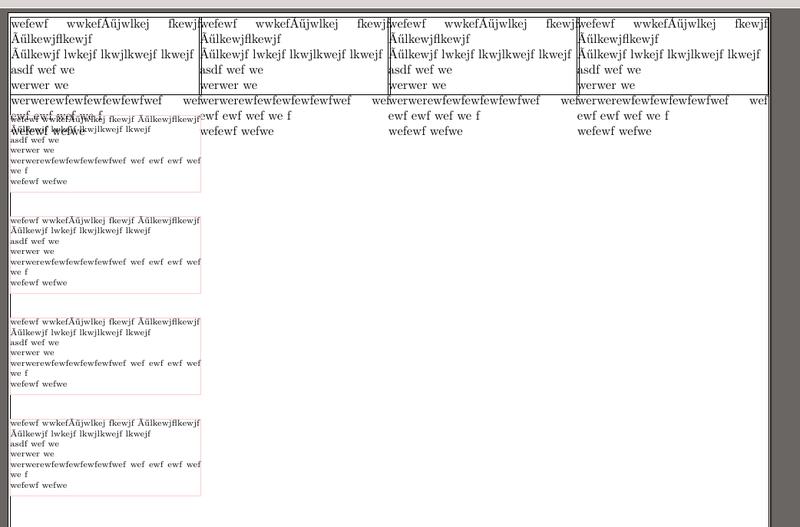 The idea is to typeset the box and then prune off everything beyond the stated limit. My solutions answers both requirements. The implementation version A creates a box which hides text which does not fit into the box. 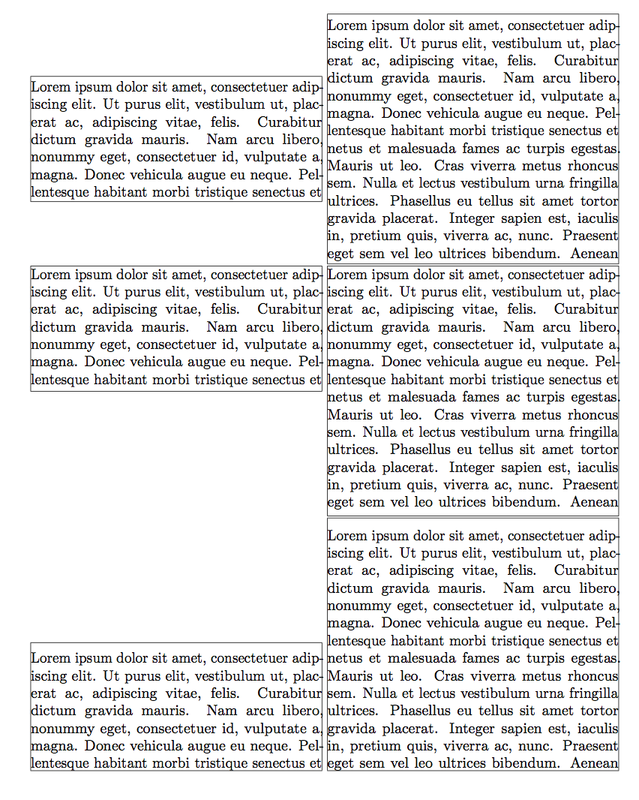 The implementation version B creates a box where the text is adjusted to the box dimensions. For both cases, I used a inner white margin of 1mm. Not the answer you're looking for? Browse other questions tagged boxes or ask your own question.